Schmidt, a German citizen who lived in Detroit as an emissions compliance executive for VW, was arrested in Miami on vacation last January. In August, he pleaded guilty to conspiracy and to making a false statement under the Clean Air Act. Schmidt’s plea deal stated that the former executive could face up to seven years in prison and between $40,000 and $400,000 in fines. Last week, Schmidt’s attorneys made a last-minute bid requesting a lighter sentence for Schmidt: 40 months of supervised release and a $100,000 fine. Schmidt also wrote a letter to the judge, which surfaced over the weekend, in which the executive said he felt “misused” by his own company and claimed that higher-ranked VW executives coached him on a script to help him lie to a California Air Resources Board (CARB) official. Instead, Schmidt was sentenced to the maximum penalties outlined in the plea deal. Only one other VW employee has been sentenced in connection with the emissions scandal: former engineer James Liang, who received 40 months in prison and two years of supervised release as the result of his plea deal. Although six other VW Group executives have been indicted, none are in US custody. 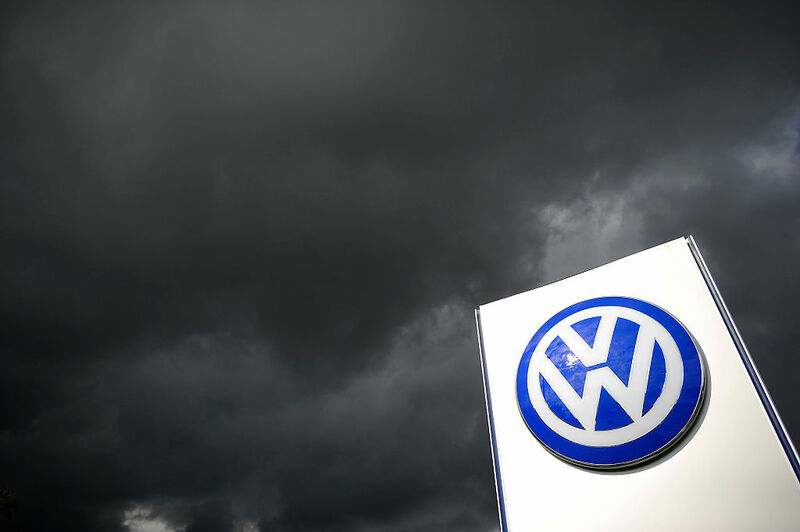 Volkswagen Group, the umbrella company that owns VW, Audi, and Porsche, has paid about $30 billion in fines and buyback costs since regulators discovered it was including emissions-cheating software on its diesel vehicles. The software allowed the cars to pass emissions tests under lab conditions, while disabling the emissions-control software under real-world driving conditions so the cars would have better performance. As VW Group rolled out its massive “clean diesel” marketing campaign appealing to environmentally conscious car buyers, those same cars were actually emitting nitrogen oxide (NOx) many times in excess of the legal limit. Per the New York Times, US District Judge Sean Cox told Schmidt, “You are a key conspirator responsible for the cover-up in the United States of a massive fraud perpetuated on the American consumer,” at the end of a two-hour-long hearing.